All the HCM you need. Now with . Over 3,000,000 employees and 45,000 employers trust iSolved. 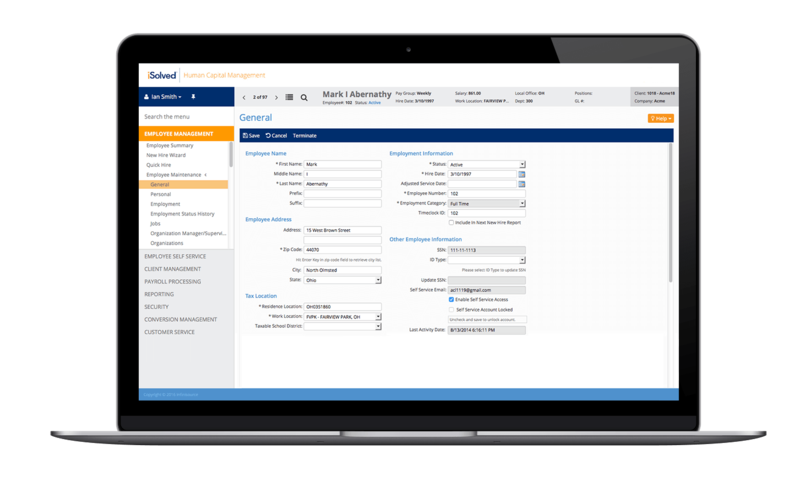 Flexible, intuitive HCM. Now with . 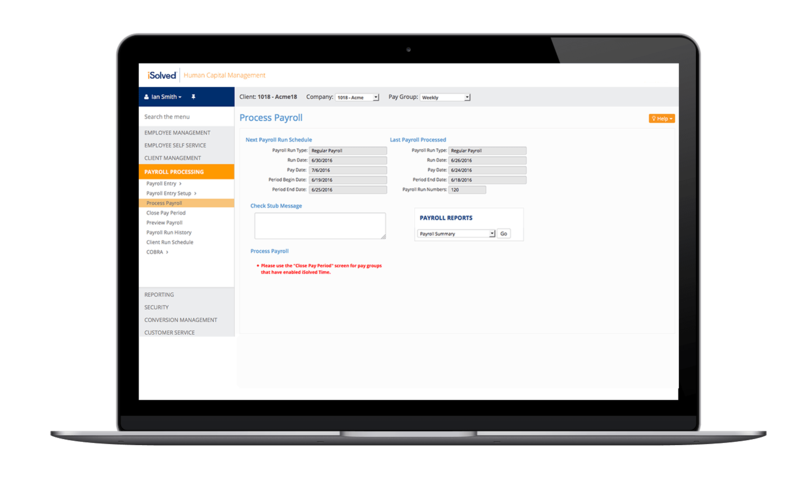 Comprehensive, completely scalable HCM software that delivers a better work life and transforms your company, while managing all your workforce management processes — payroll, HR, time, and benefits. 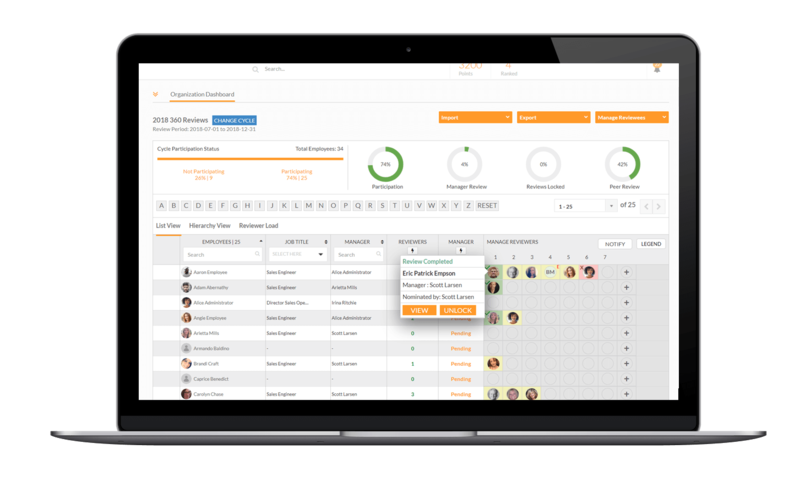 Manage and strengthen your talent with highly configurable reporting and multi-level performance management capabilities, easily pull compliance reports or perform multi-level performance reviews (peer to peer, direct reports, etc.). iSolved technology is the answer for all of your HR needs. Benefits have never been so easy! Set up your benefit plans once, driving enrollment and deductions throughout the system. In addition, iSolved connects with carriers to ensure all life events are properly communicated to the carrier — on time. 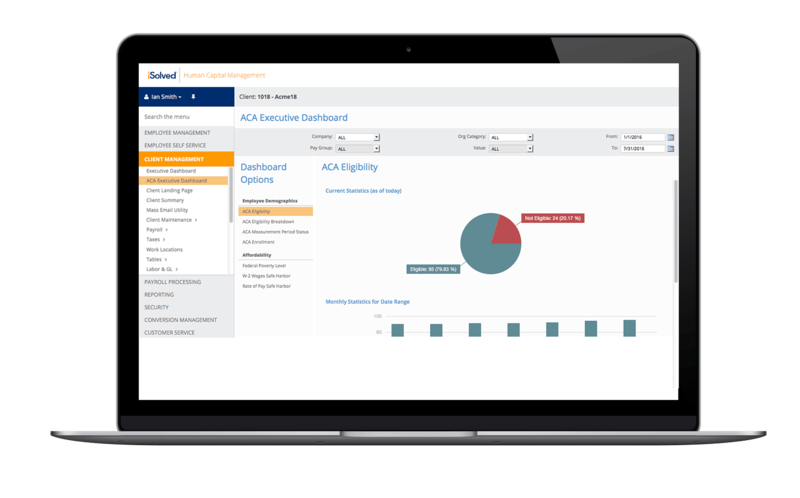 Add Compliance to help solve ACA management, or iSolved Hire to streamline your applicant tracking and onboarding. 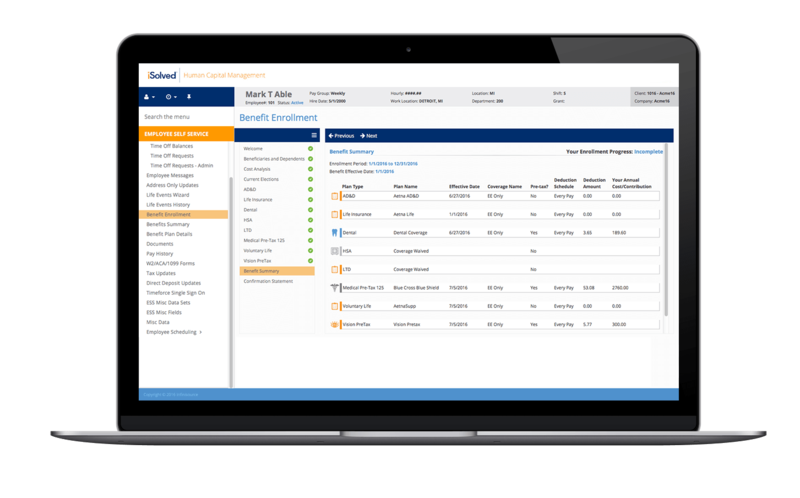 Whether you need advanced analytical reports and dashboards or you want to roll out a unified learning management system (LMS) to your workforce. 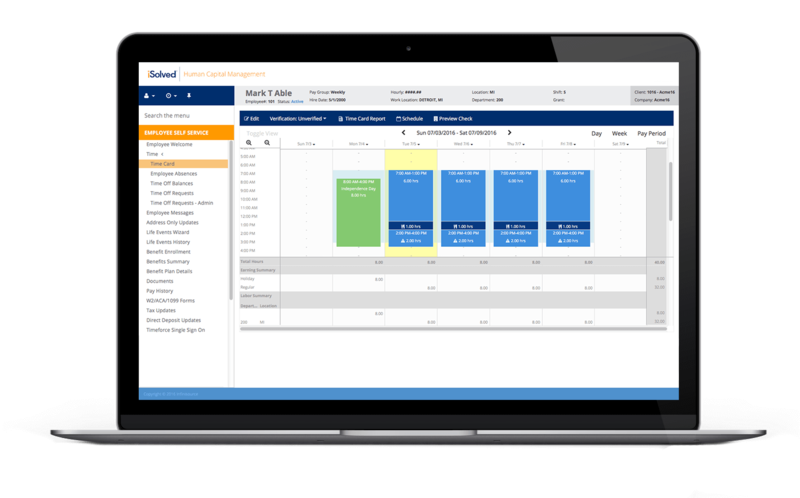 Payroll + HR + Benefits + Time data, all in one platform that also delivers a better work life for your employees. 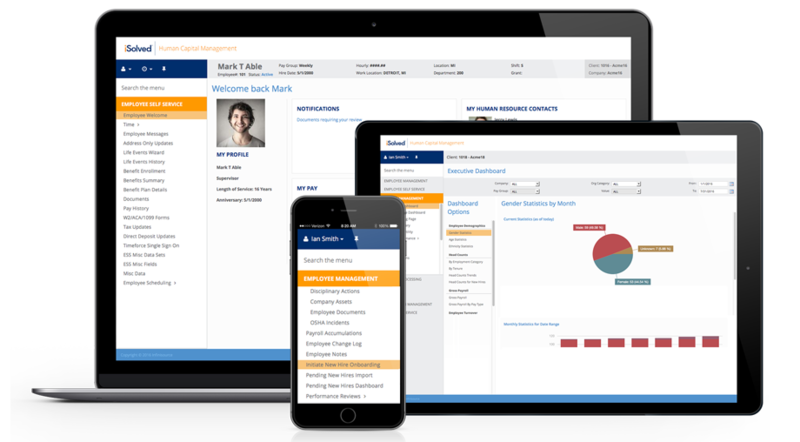 You’ll love having your important, commonly needed, mission-critical employee data available in one place. Your employees will love the tools that help them stay connected, share ideas, seek help, and collaborate. Our focus is making your work life better.